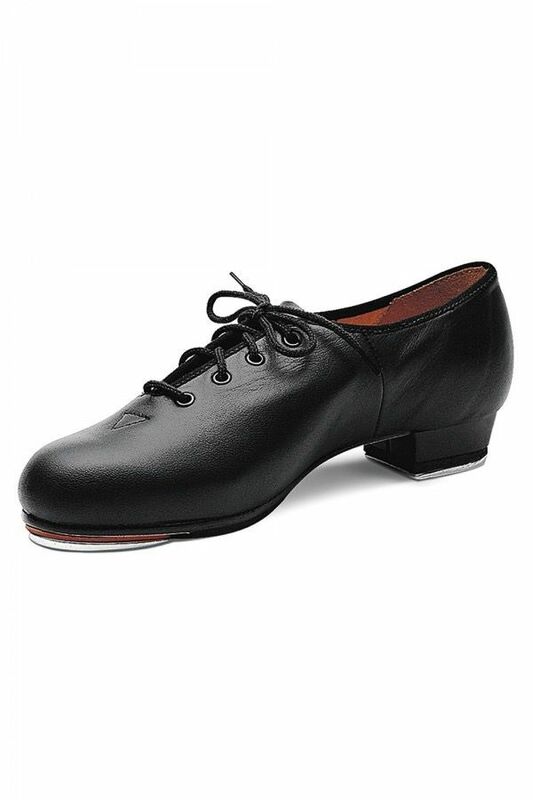 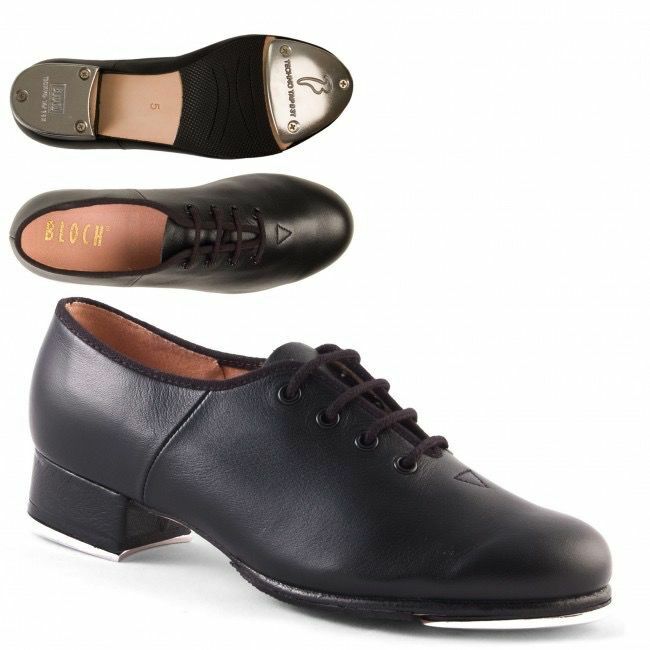 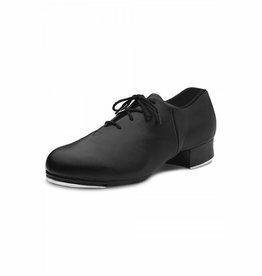 The jazz-style upper of strong, soft leather with a full leather outsole makes this a durable and stable tap shoe. 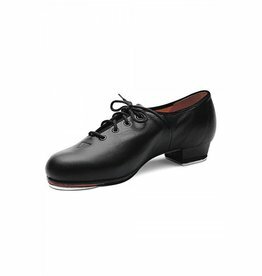 The toe tap is screwed to a resonating board for a deeper sound. 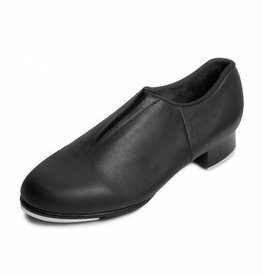 SIZE: Fits street shoe size but may need 1/2 or 1 size up for growth room.